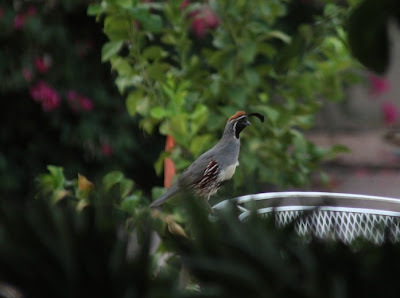 This photograph of a daddy "Quail" was taken in my backyard the other day. He loves to sit up high on one of my patio chairs to watch over mama "quail" and their (at the time) five little babies. He does not like me to take pictures so I have to be quick and quiet. I was getting attached to the "quail" from a distance and enjoy watching them from my window. One morning following the day I took this photo, there were only 4 babies left. Now there is only one left. I just can't imagine what happened to them. They used to try and sneak out to the front yard where I have lots of grass. It is much to dangerous out there for them, and they must have gotton lost...or worse. Our heat here is about 115 plus degrees. HOT, HOT, HOT. 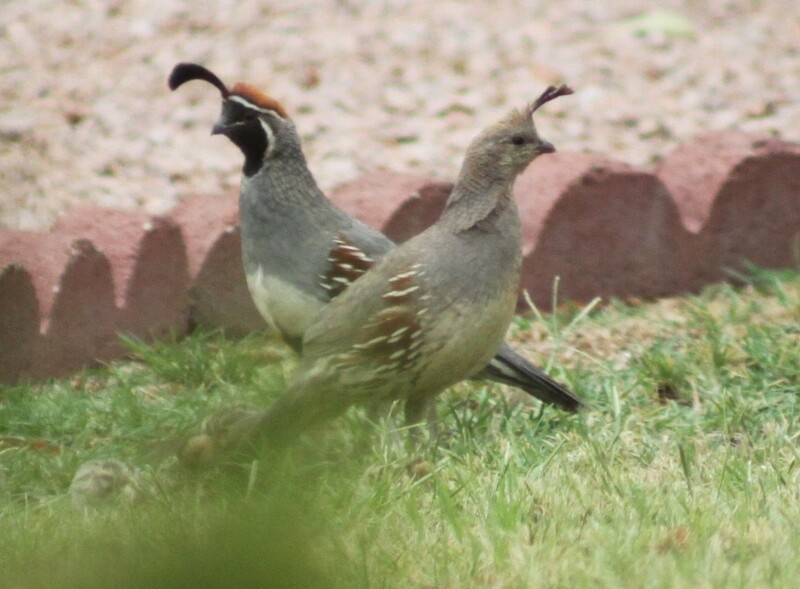 Here they are together when there were still five baby "quail." I got lots of great reference material for my next "quail" painting, but wish the other babies had made it. Since I have started feeding all of these birds it is amazing how many different species of birds I have right here in my own backyard. 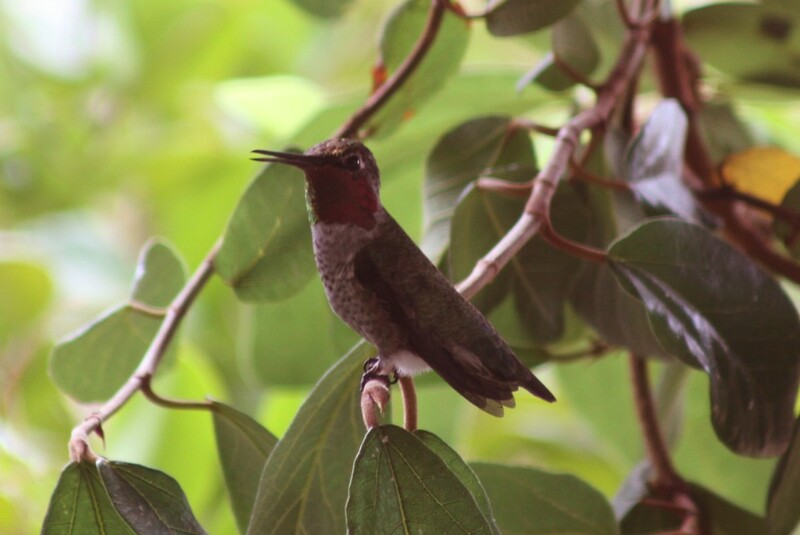 This "Anna's Hummingbird" likes to sit out on my patio tree to stay near the "hummingbird" feeder. They are so territorial, and really fight for the feeders. 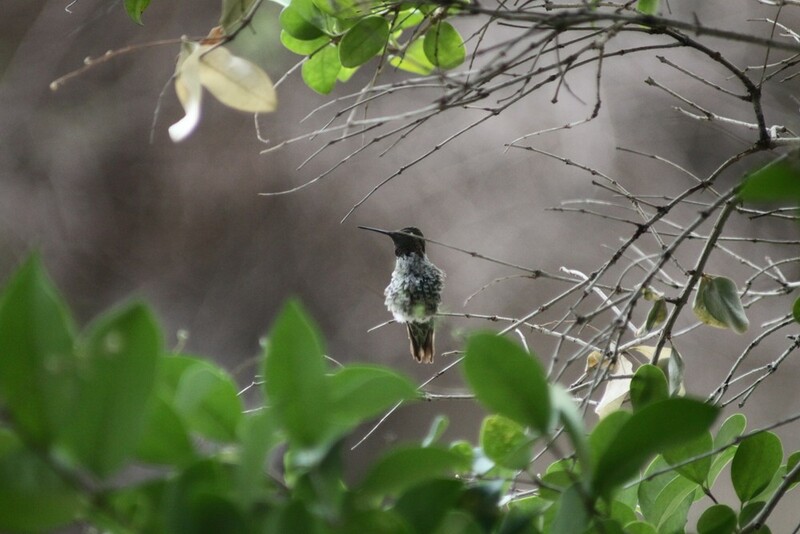 This "Anna's hummingbird" likes to stand guard and chase away a "black chinned hummingbird." "All Fluffed Up - black chinned hummingbird"
The "black chinned hummingbird" also sits nearby. Here she is "all fluffed up" and ready to fly. It was also 115 degrees outside, so maybe they do that to cool off? I have lots of great new shots to use as reference for my next series of "hummingbird" paintings. Such darling little creatures. Beautiful photography and your paintings are just wonderful.